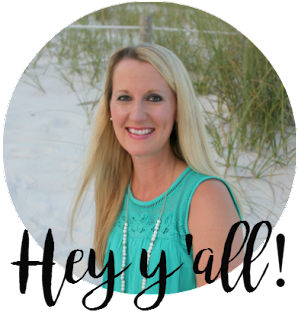 I don’t typically blog about blogging very much, but I’ve had several requests from readers to share how I plan my blog content. Y’all know I love a good planning/organizing post, so I wasn’t going to turn that one down! The spreadsheet is stored on my laptop in my “Blog” folder and it is titled “Post Ideas.” Simple, right? Now to elaborate on each of the categories! Now for the information on the content calendar itself and how I actual do the planning. 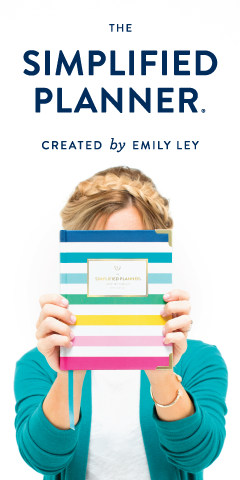 For my content calendar, I keep a Mini Notebook in my Emily Ley Simplified Planner and I have it divided into three categories, the last category being my Blog Content Calendar. Every December, I go to 24calendar.com to get some free blank calendars for the upcoming year. I copy each calendar for the upcoming year, paste them in a Word Doc, resize them to fit my mini notebook, and then I cut them out and tape them into the notebook with washi tape. It sounds like a lot of work, but it’s not at all… overall I would say it takes about 20 minutes. 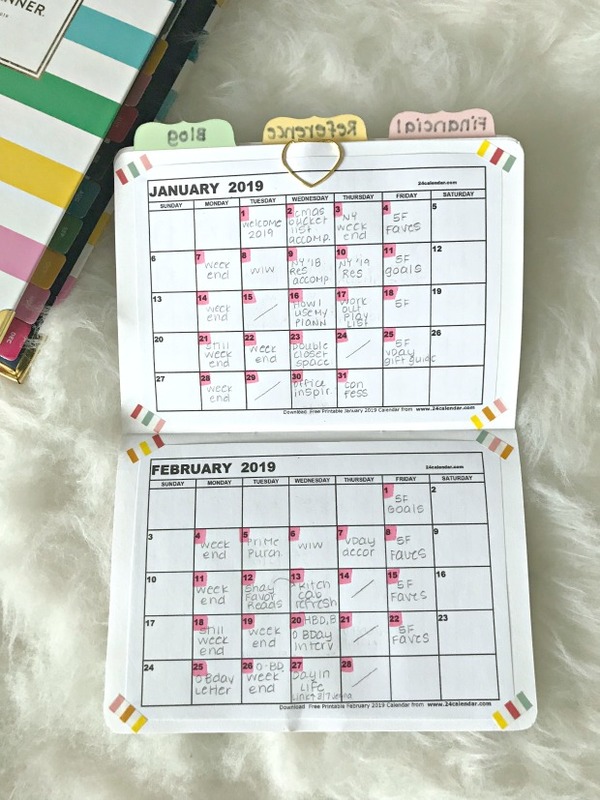 The only reason I use this method is because I like to keep my blog content calendar inside my Simplified Planner and I haven’t been able to find any calendars that are the right size that I like. Plus this is free! You could easily use a pocket calendar or any other kind of monthly calendar if you wanted. Just do whatever makes the most sense for you! So now that you have a spreadsheet brimming with ideas and a blank calendar, it’s time to plan! I typically sit down at the end of each year to loosely plan the year ahead. First, I cross out all days that I know I will not post… for example, certain holidays, Tuesdays and Thursdays during the summer when I’m off with the kids, and a few random days throughout the rest of the year (usually a Tuesday or Thursday here and there) just to give myself little breaks. Second, I fill in all of the content from the “Recurring” Excel worksheet. 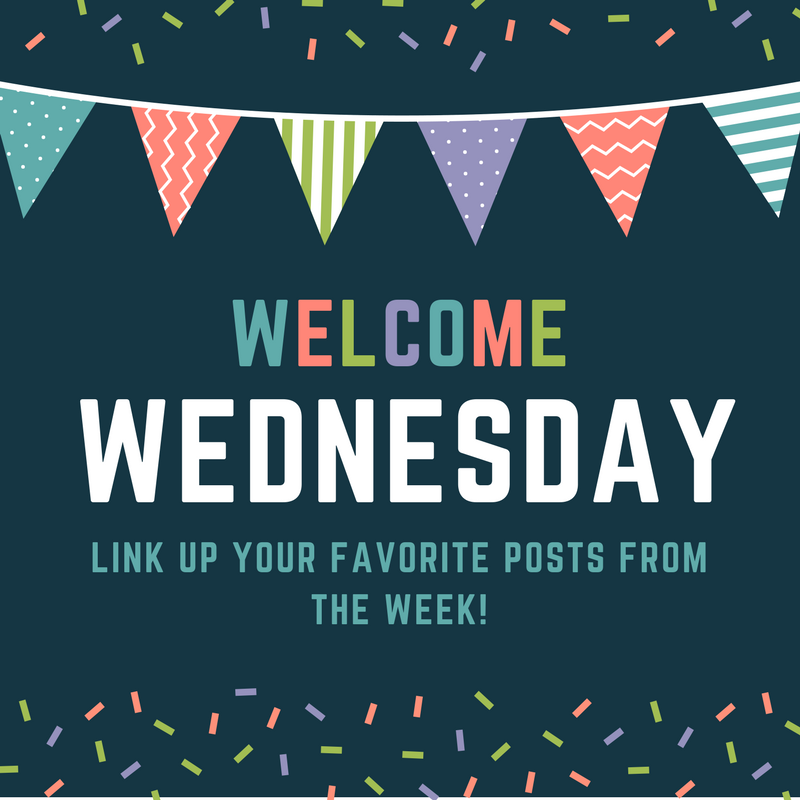 These are the posts that I do every week and every month like my weekend posts, Five on Friday posts, and Monthly Goals posts. Third, I fill in all of the content from the “Yearly” Excel worksheet. These are the posts that I do once a year every year during a specific time of the year. Fourth, I fill in all of the content from the “Soon” Excel worksheet. These are the posts that I want to do soon. Finally, I try to fill in all of the gaps for the first two months of the year using the ideas from my Excel Spreadsheet. That way I know exactly how much time I have to plan for each post for the next two months – completing projects, photography for the post, copy writing, editing, etc. – and I can go ahead and incorporate those tasks into my Simplified Planner. At that point, planning is done until February when I sit down once more to plan March and April. And then in April I sit down to plan May and June. And so on. Now, I will say this – life happens and THINGS CHANGE! My content is always, always changing so I only use pencil when writing in my content calendar because plenty of erasing does happen! Once posts are completed and scheduled in Blogger, I cross the date off in pink highlighter on my content calendar. That way I can see what’s done at a glance. Sometimes I work well in advance when I know I have a vacation coming up or summer break. When working ahead, I just go ahead and write down the idea on the appropriate date and then once I have the post completed and scheduled, I cross off the date in pink highlighter to let me know that’s done. For example, this July I’m going to recap Jacob’s third birthday since I didn’t blog back then. I chose a day during his birth month (July) to post that. It’s already completed and scheduled in Blogger so it is already crossed off on my content calendar. Done! So there you go! Easy peasy! Having the Excel spreadsheet and the physical content calendar is the perfect combination for me! How do you plan your content? I love this. I just use my monthly calendar in my life planner. At the beginning of the year (or in my planner case-July) I go ahead and write in what I know I will blog each day. (Weekend recap, Friday Favorites, Goals, Prime Purchases, etc). This system seems to work. Then I keep a running tab of ideas in the blank pages of my planner. You are so organized! I also use a monthly calendar to see what's coming up. I bet this post will go big on Pinterest! WOW! Can I just hire you to come plan my posts!? Haha! You might have to bring some content along with you! Great post and thanks for sharing all your great tips! The spreadsheet is a great tool! I love listing out similar categories to keep ideas straight. I do tend to go with the flow though too when different post ideas arise. Love the simplified planner though! Yes, the categories were a must after my list got too long! It was hard to find anything before I categorized them! Now I know one reason your blog does so well - you have so many great ideas! I plan one month at a time on my blog. Sometimes more like 2 weeks at a time, because I fill in things we've been up to that I want to blog about. But I really need a list of things to use when we're not up to anything! You are so inspiring! Every.single.time. Yup every single time you do one of these posts my heart is so happy and I get a new zest for things! I have been doing the excel spreadsheet and the calendar like you. But I like all your categories. Great tips! 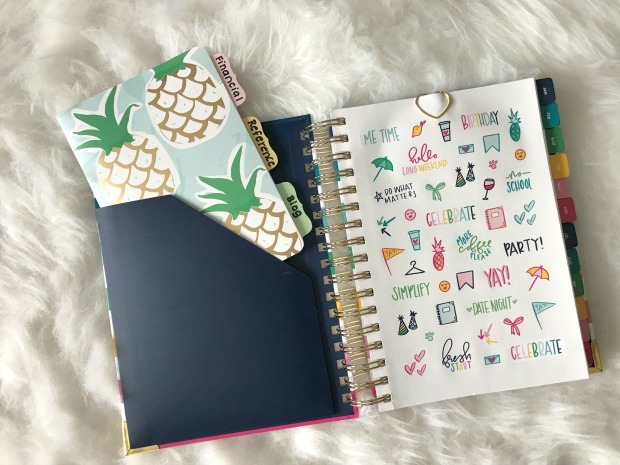 I have learned to write my blog content in pencil in my calendar because it seems like something always changes but I love to plan a month at a time too! The calendar view of things is key for me...although like you said, it is always changing and sometimes life happens! I do love the idea of having a spreadsheet broken into different categories. Right now I just have a running list and this would be so much better! You are my organizational spirit animal! You are so organized and I love it! 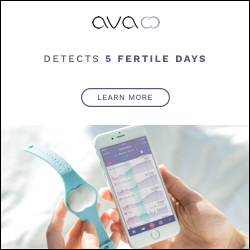 I haven't touched my blog in YEARS (nor do I really have a desire to blog again), but if I was a blogger, this would absolutely be a tool I would use! Thank you for sharing your knowledge! Great tips! 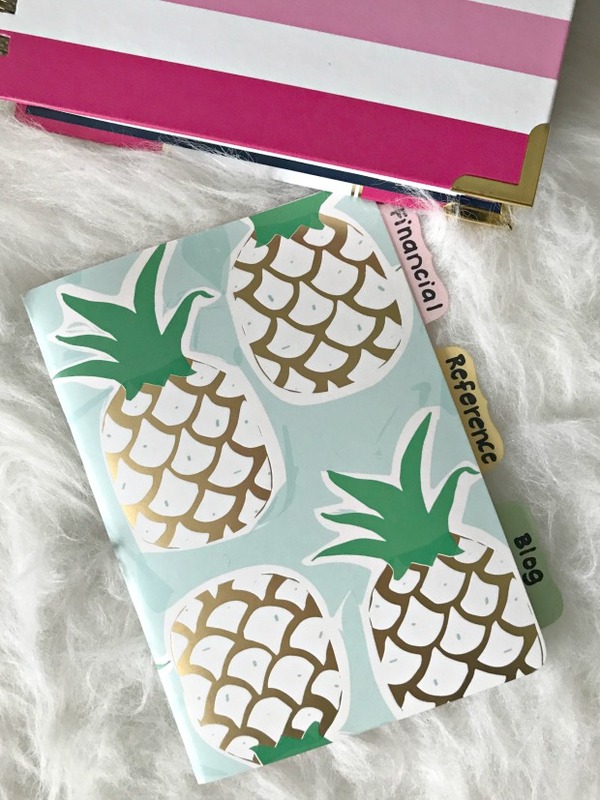 I used my planner and a notebook when I was blogging regularly. I'm excited to get back into it now that I'm forced to sit still for hours while the baby nurses...haha! Haha. I bet! And thank you! I do just about the same thing; except I use a full size wall calendar. I had an extra calendar this year and used it to write in all my recurring blog posts.. once I did that I found I didn't need a ton of new blogging ideas... but as I think of them I do have a list and I too cross them off once the post is written and scheduled. I like to work at least one week in advance. I love the idea of using a wall calendar. I actually thought about doing that so I could just have something right in front of me at all times! I may end up doing that eventually! I found this so interesting! Love that you've created your own calendar notebook--I really need to develop a planning system....once my life calms down ha! #organizergoals Holy moly...if I was half as organized as you I might not be so looney. OMG! This is amazing and just what I needed. Thanks for making me excited about updating my blog.